Senior Spencer Fleming was one of the students chosen to attend and he stated that “even though our backgrounds and cultures are different, we still have the same passions and dreams.” Freshman Madeline Greenberg spotted a quote on the wall at St. Stephens which reads “You don’t need a new day to start over, you need a new mindset”. When asked to expand on why that stuck with her, she remarked “it speaks to the struggle that the Native American Community has faced in trying to preserve their culture. The people’s pride and love for their community has truly touched me on this trip”. 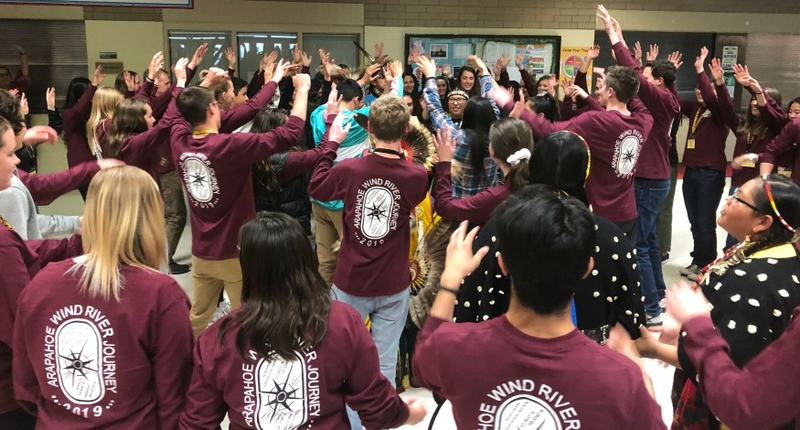 Thank you to the incredible students, Mrs. Pramenko and the other chaperones for being great ambassadors from Arapahoe High School to our friends on the Wind River Reservation.